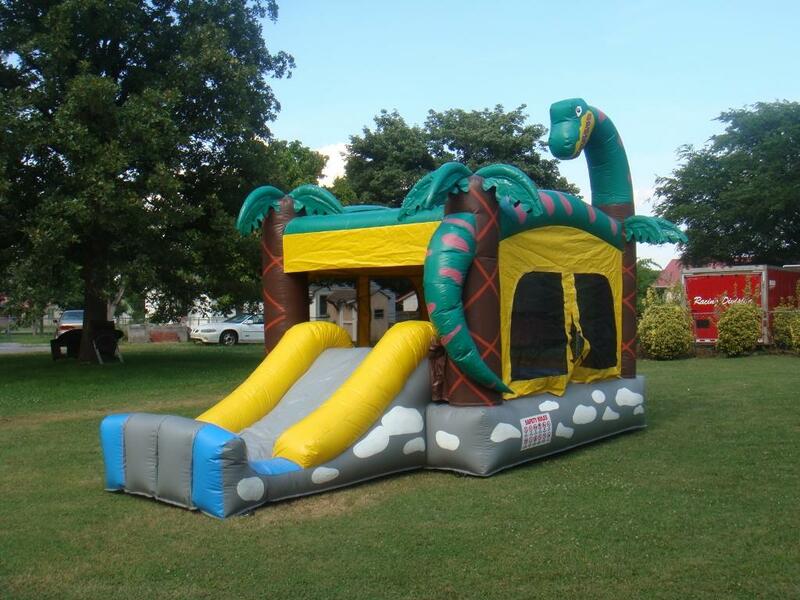 This beautiful combo bounce house, designed especially for toddlers, with a 3D dinosaur figure right in front of it, an area to jump and a slide that will make your party a memorable day. 12' Wide, 15' Long and 12' High including the dinosaur head. LOOK AT A VIDEO OF THIS INFLATABLE TODDLER BOUNCE HOUSE.